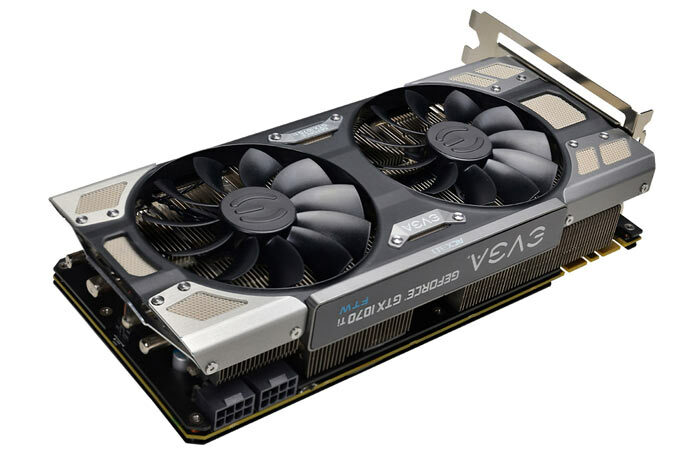 EVGA has just launched a new GTX 1070 Ti, bringing its total of SKUs based upon this GPU to five. The new graphics card is called the EVGA GTX 1070 Ti FTW Ultra Silent Gaming, and as you might guess from its name, its intended raison d'etre is to deliver the best of both worlds; "cool, silent running and game-changing performance". However, due to Nvidia's restrictions, this 2.5-slot add-in card runs at the same speed as reference GTX 1070 Ti cards, and all the others in EVGA's stable, with a base and boost frequency of 1,607MHz and 1,683MHz respectively. To facilitate the 'ultra silent' running of this card EVGA has put some extra work into both the cooler, and the cooling profiles applied by its software. The 2.5 slot design includes a larger, thicker heatsink than its EVGA stable mates, including those with ACX 3.0 cooling and FTW enhancements. In fact it’s the biggest of the quintet of GTX 1070 Ti cards made available by EVGA so far. This physical property will help minimise active cooling, to keep things relatively quiet. EVGA's latest card also includes the FTW moniker thanks to its 10+2 power phases, 8+8-pin power connectors, 235W power ceiling. For those buying this card with the intent to overclock two BIOS chips will make things easy and flexible. On the topic of overclocking and tweaking EVGA supplies its Precision XOC tool, to easily push the performance envelope with this card. 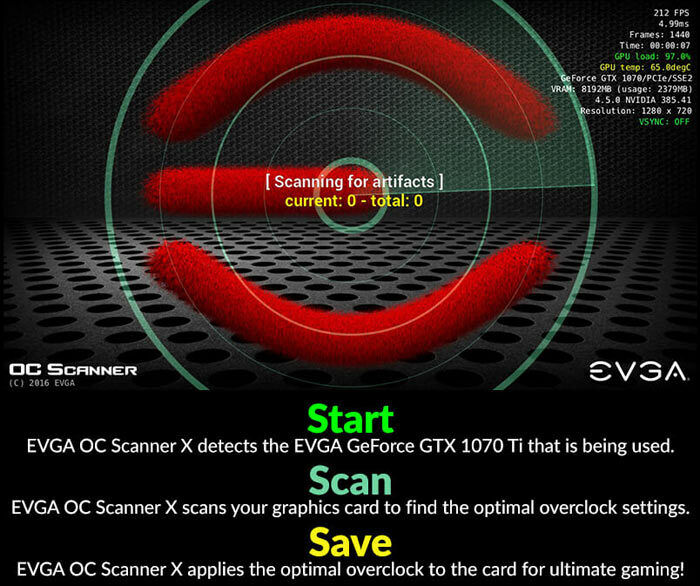 Furthermore, the EVGA OC Scanner X can help you optimise your overclocks by quality-checking the graphics output. Together these integrated tools enable optimised overclocking at the "click of one button". 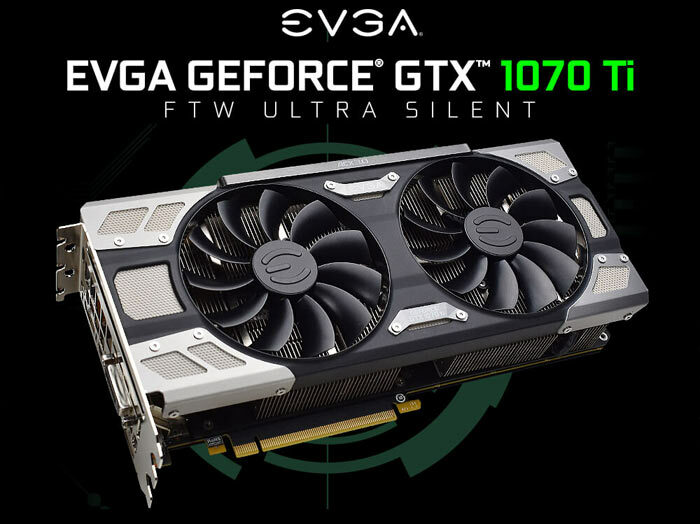 The EVGA GTX 1070 Ti FTW Ultra Silent Gaming graphics card is already available to order off the company's website for US$499 (limit two per household). At the time of writing it wasn't listed in Europe. Looks likely to cost around £500 in the UK with VAT. Buy a GTX 1080.